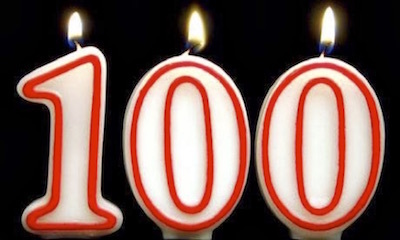 According to WEF, the global dependency ratio under current policies will plummet from 8:1 today to 4:1 by 2050. That means just four active workers for each retiree. And that’s including developing and frontier markets. 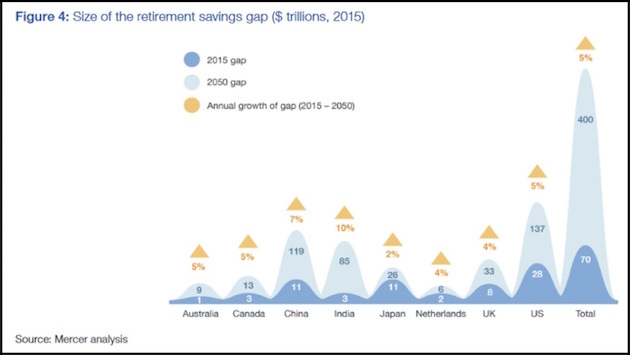 Developed markets will see a global dependency ratio of about 2:1. I see no way that can work. WEF doesn’t either. Here is their advice to political leaders. June 7, 2017, 9:07 a.m.
June 4, 2017, 3:04 p.m.
Like the retired Doctor, I too believe that there is a disconnect between the promises of life extending sciences and the availability to the masses. 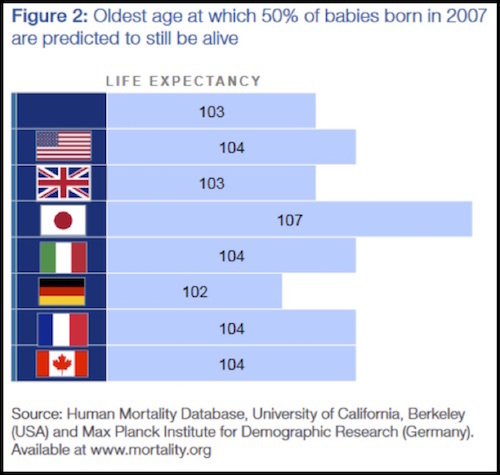 I think the elites will benefit from the breakthroughs, but I can currently not see large swaths of the population being offered life extension on the cheap - and what would be the point in a world with a huge disconnect between available jobs and workers. Economics have a way of distributing resources. 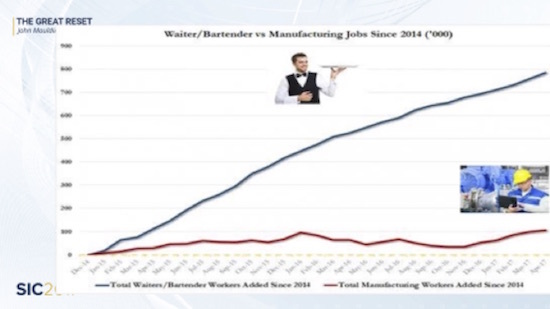 We all know that the jobs remaining will require increased skill levels. My fear is that the economy will turn from an hour glass shape into a pyramid, one in which the top 1/10 is separated from, and sitting well above the rest. As much as I want to share the optimism - and that is a base tenet of how I think - there is a real possibility that history will repeat itself, that is, when there is a high percentage of unemployable young men or more precisely a shift in their options to be employed, - the conditions for war is amplified. This happens through the election of leaders who cunningly taps into that frustration, often by painting a picture of the country being humiliated and made laughing stock and by the promise to restore pasts glory. Recession and Post world WWI Germany is a prime example. We might have another one on our hands anno 2017. So when assessing the future there really is a wider gamut of likely outcomes, not all are rosy, even if we’d like them to be. However what remains good, and that is key to remember, are the good things in life - and here to you John Maulding and your future spouse, Shane - the best of wishes and congratulations from Tucson, Arizona. June 4, 2017, 1:10 a.m.
My wife, Dixie, and I wish you and Shane much happiness and joy. For at least one week go ahead and skip the letter and just enjoy each other. Drinks are on me if you ever make it down to Blanco TX. 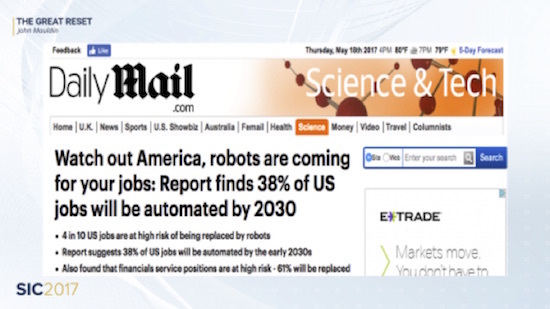 June 3, 2017, 10:45 p.m.
As for robots replacing tax paying workers, well, tax the robots. So long as there is a net productivity or safety gain for the organization, it just might work. June 3, 2017, 2:33 p.m.
As a recently retired MD and very aware of past and current medical research, I must say your commentary is too idealistic (conclusions made in a vacuum). No research will reverse the population and economic demographics and especially the geopolitical trends which will dominate. 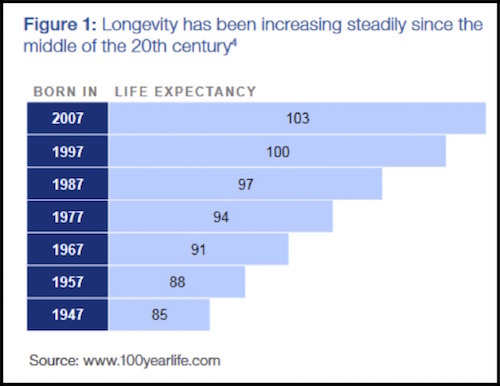 Health trends of developed nations largely ignore self preservation and longevity as shown by our increasing obesity rates and its attendant life shortening attributes which will counter the predictions some make about median life spans increasing to over 100—-ie ‘pie in the sky’. I believe we have already maxed out if not for the simple reason that what is mentioned in your commentary will hardly be affordable for most even if they take care of themselves.